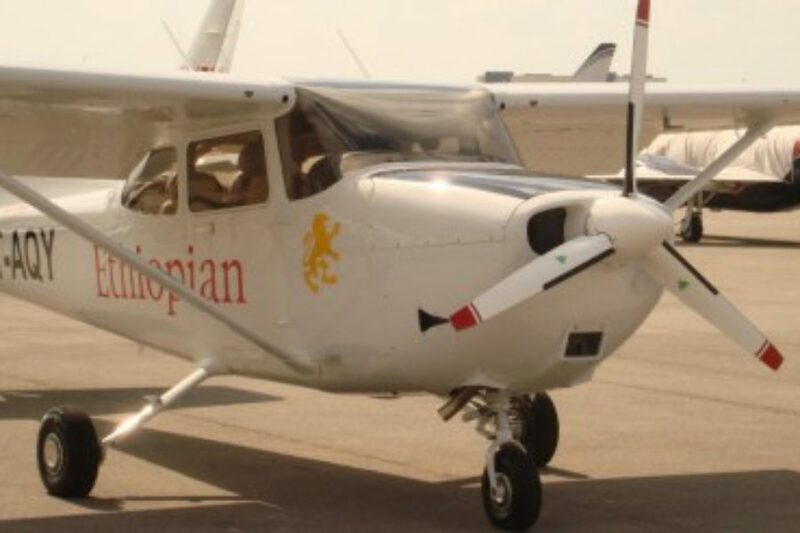 Diesel Aircraft & Engine Conversions - Africair, Inc. Conduct your flight training in a Skyhawk 172 retrofitted with a Continental Diesel Engine and significantly reduce your operating costs. With over 60 retrofits to date, Africair, Inc. specializes in converting the Avgas powered 172 Skyhawk to the Jet-A burning Continental Diesel engine. Less fuel consumption, significantly reducing operational costs. Jet-A is readily available most anywhere in the world unlike costly and scarce Avgas. Continental Diesel engines have logged over 3 million flight hours. The 155hp CD-155 & 135hp CD-135 engines are turbocharged. At high elevation airfields, the Continental Diesel engines outperform 160hp Avgas engines. Continental Motors Group offers with CD-135 a jet fuel piston engine for general aviation with a take off power of 99 kW (135 hp). The CD-135 is a turbo charged 4-cylinder in-line engine which is EASA certified since August 2006 and FAA certified since October 2006. The CD-135 is certified for the use of both jet fuel and diesel (DIN EN590) and is running with the two fuels in any mixture ratio. The engine has a time between replacement (TBR) of 1,500 hrs. The engine has a time between replacement (TBR) of 1,200 hr. Despite of improved performance CD-155 weighs as much as the CD-135. Continental Diesel is, in every respect, the industry leading brand for certified diesel or Jet A-1 powered piston aircraft engines in general aviation. Continent Diesel has the longest production history, the largest fleet of engines in operation, the most diesel flight hours fleet wide, and the largest service network for diesel aircraft engines around the globe. As far back as 2001, the manufacturer of Continental Diesel engines, formerly known as Thielert Aircraft Engines and now Technify Motors GmbH as member of the Continental Motors Group, became the first company in the world to receive type certification for its kerosene (Jet Fuel, Jet-A) piston aircraft engines. Continental Diesel pilots have a global network of more than 350 authorized service centers at their disposal. Altogether, there are over 3,500 Diesel engines operated in General Aviation which have successfully completed more than 3.5 million flight hours.